FRANKFORT, Ky. (June 18, 2018) – The Department for Local Government (DLG) has approved funding for a $1 million Community Development Block Grant (CDBG) to Bourbon County Fiscal Court on behalf of the Paris-Bourbon County Economic Development Authority (PBCEDA). The federal funds will allow the development authority to purchase a Vitalis Extraction Machine, which will be leased to AgTech Scientific LLC, a diversified industrial hemp company. These funds aid in a larger effort to establish Kentucky as an international leader in hemp production. Earlier this year, AgTech Scientific announced plans to establish a manufacturing center in Paris, Ky., where the company will partner with Kentucky farmers for the production of hemp. The company plans to extract cannabidiol (CBD) – which is different from THC, the intoxicant in marijuana – from locally grown hemp to use in products such as energy drinks. AgTech Scientific will operate under a license issued by the Kentucky Department of Agriculture, which administers the Industrial Hemp Research Pilot Program. The KDA operates its program under the authority of Section 7606 of the 2014 federal farm bill, now 7 U.S.C. § 5940, that permits industrial hemp pilot programs in states where hemp production is permitted by state law. 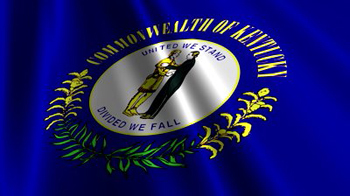 To learn more about CDBG and other grant opportunities available through DLG, visit kydlgweb.ky.gov.